iB Solutions are intelligent and fully integrated with each other, and with the business applications you use every day. Fully web-based and responsive, iB applications are geared towards working fully in desktop, tablet and smartphone! 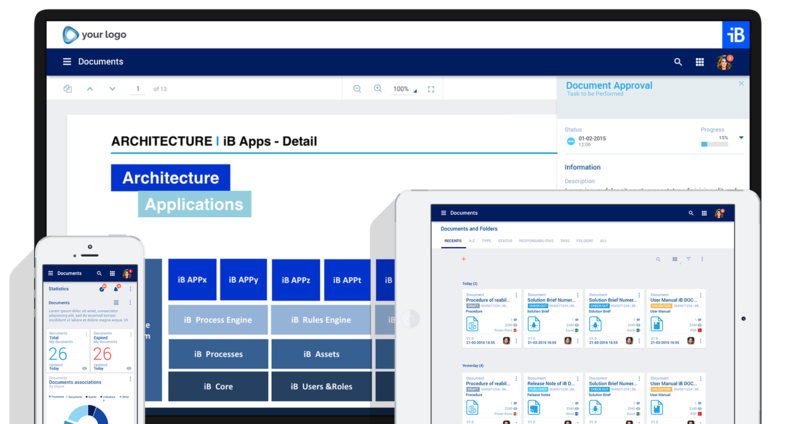 The iB Solution using Documents allows integrated management of all documentation in all typologies, formats and dimensions. It allows the creation, revision, approval, distribution with and without proofs of knowledge (reading receipts). With agile versioning management, multi-class search, and in addition integrating intelligent search of high standard. With or without the help of templates, your company documents can be managed, controlled and communicated in a pull or push perspective. 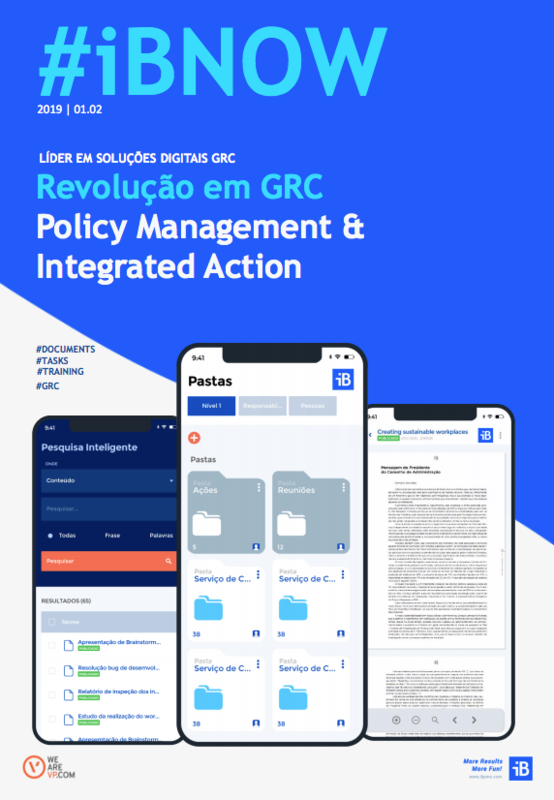 The integration is total with the document management allowing to guarantee dedicated workflows, rules of action and also to guarantee when a document demands internal actions that are structured in Plans and Actions that can be followed and accompanied either in formats of lists, gantt or even kanban . The solutions allow a total and value-added approach for all companies that position themselves as leaders in the domains of governance, risk and compliance. And all this in the palm of the hand. More effective integration with iB Training is to ensure that the documents that require training for its complete deployment can be carried out in an integrated manner with intelligent management and information gathering and monitoring capabilities. 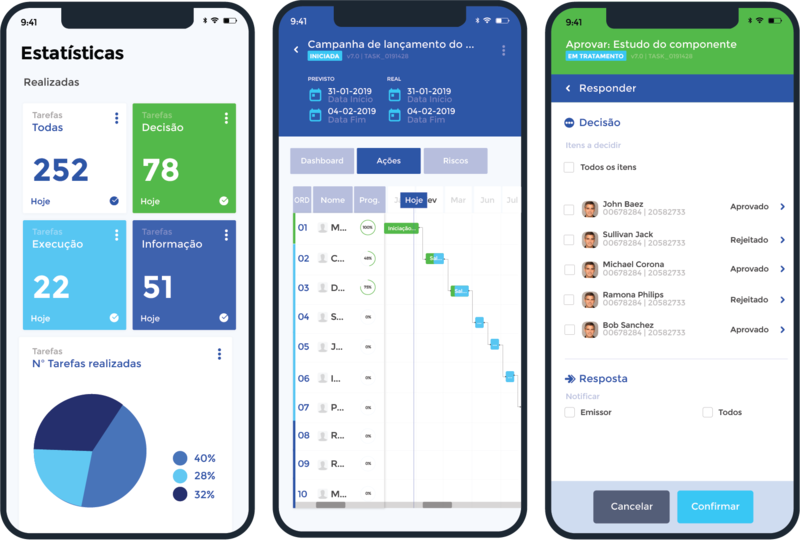 The solutions allow to guarantee a complete cycle with push portals in which the solution is presented to the collaborator or in pull solutions allowing the search and information by the user in the needs of his work. 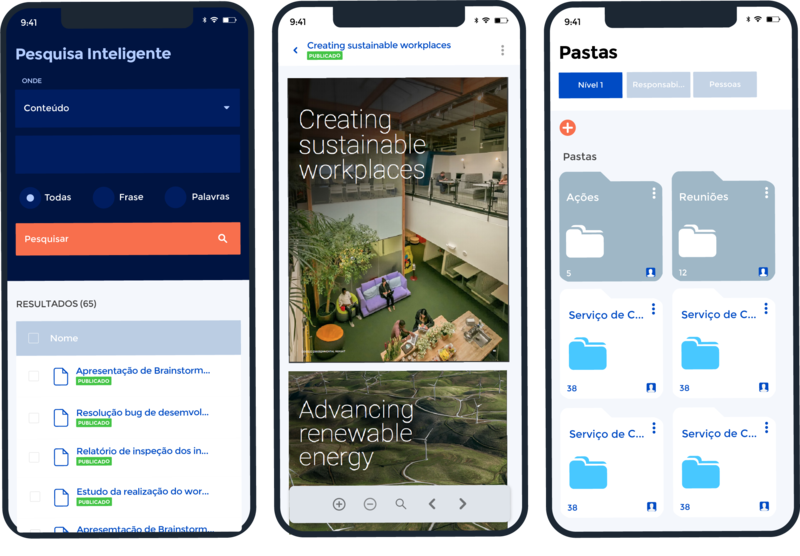 As a leading suite of document management, iB Documents is an application designed for your organization, allowing documentation management and its performance to your target audience with push and pull methodologies. iB Documents is the essential tool for anyone looking to carry out the creation, revision, and monitoring of all management and work documentation ensuring overall success in your Organization. or With intelligent search engines, semantics and the possibility of using templates, versioning, current formats, ensures that all functionalities organize, find, research, manage governance documents and work. With powerful workflow can be used in all environments and allows real-time management. Streamline actions with intelligent workflows and key automations while results appear. To have full access to the article, download the #iBNOW magazine by entering your email and then clicking the "DOWNLOAD" button to have your access. Thanks for your registration. You can already see our magazine.